There are many leaders that start out with a dream. They imagine or picture something in their minds that they want. Some of them even have a strong desire to obtain it. Is that desire or want enough? No, they need the power of faith to realize their dream. That desire alone is not enough to accomplish anything. Without faith, many leaders fail to realize their dreams. They start working towards their dreams, but they fail to follow through enough to achieve their dream. They let it stay dormant within themselves and don’t do anything about it. There are, however, leaders that become great by making their dreams a reality. So what is the difference between the leader that has a desire and does nothing about it and the leader that makes their dreams a reality? The difference is faith. 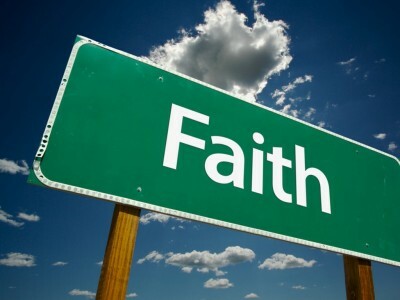 The dictionary defines faith as, “Faith is to hope for things which are not seen, but are true. Faith is a principle of action and of power. All true faith must be based upon correct knowledge or it cannot produce the desired results.” The leaders that are successful obtain their success because they have a great amount of faith. They have faith in themselves. They also have faith in their coworkers, employees, and leaders. Most importantly, many great leaders have faith in God. Faith is the driving force that makes the great leaders great. They not only believe in their dreams, but they work hard to obtain them. Their hard work is based on the fact that they know that if they work hard enough, they will obtain their dreams. Ultimately, the great leaders have no doubt that they will reach their desired result. They have a clear vision of the outcome, and in their mind it is not a matter of if, but when it will happen. Some examples of great leaders with faith are Bill Gates, Steve Jobs, and Michael Dell. These leaders had a huge amount of faith to live out their dream. Each of them had a dream that started out as something very small. They each saw their dream as a reality just waiting to be realized. They did not sit around and wait for their dream to happen on its own because they understood the principle of faith. They actively worked to make their dream a reality. Michael Dell, for example, saw himself making personal computers for consumers in such a way that he would change the world. He pursued his dream as a college student in his dorm. After a short time making the computers in his dorm room, he realized he needed to do more. He dropped out of school to dedicate his whole life to computers. From there he continued to work hard until his dream became the reality of what Dell computers are today. Bill Gates and Steve Jobs also had similar situations where they used their faith to put belief into action. There are also many other historical figures that used their faith to put their belief into action. Faith is very powerful. What have you seen happen through the power of faith? How has faith played a role in your life? Please share your thoughts in the comments section below!